French eighteenth-century studies is organised by The Attingham Trust on behalf of the Wallace Collection. 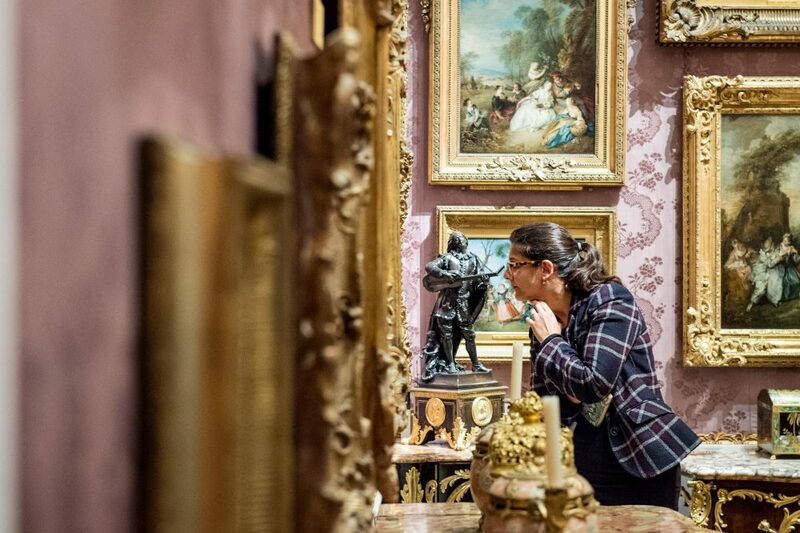 Based at Hertford House, this intensive, non-residential study programme aims to foster a deeper knowledge and understanding of French eighteenth-century fine and decorative art and is intended primarily to aid professional development. A day at Waddesdon Manor, Ferdinand de Rothschild’s former country house, will help broaden the scope of the course still further. The academic programme will provide privileged access to the world-class collections of furniture, paintings, sculpture, textiles, metalwork and porcelain in these two collections. The group will be limited to a small number to allow for detailed, object-based study, handling sessions and a look at behind-the-scenes conservation. Study sessions and lectures will be led by the Course Director Dr Helen Jacobsen, Curator of French eighteenth-century Decorative Arts at the Wallace Collection, and the relevant curatorial staff; other international authorities and the curators at Waddesdon will provide further specialist teaching. This course is primarily aimed at curators and other specialists in the fine and decorative arts. The cost of the 5-day course is £900. This includes all tuition, two evening receptions and a final dinner. Also included is a full study day at Waddesdon Manor, with lunch and travel by coach. This is a non-residential course and airfares are not included in the fee. Closing date for applications is 12th February 2018. All applicants will be notified by the beginning of March 2018. If awarded a place, a deposit of £150 should be made at this time. The balance of fees is due, without further notice, by 6th April 2018. These payments should be made in £ sterling to ‘The Attingham Trust’ by bank transfer OR cheque drawn on a UK bank. There is some financial support available for suitable candidates.